Thanksgiving is tomorrow and One Fat Frog Restaurant Equipment hopes you have a great one. Chances are, after the relatives leave and the dishes are piled up to the moon, you’re going to be left with leftovers. No problem here – this gives you easy dinners and lunches for like three months. But you’ve gotta make sure you properly store the leftover goodies or else they can go sour – quick. Different food items have different shelf life as well, so don’t let anything sit for too long. Set your leftover limit to four days. After that, to the trash it goes. And no one likes wasting food, so grin and bear turkey dishes a few days in a row, champ. • Get those leftovers in the fridge promptly – within two hours. Be sure your fridge is keeping cool at 40F or below. • Separate your leftovers into small portions and store them in shallow containers. • As always, keep those hands clean! Always wash up before and after handling food! • When reheating leftovers, hit the same internal temperature you did when cooking them from the jump-off: 165F. Any sauces, soups, gravies, should be brought to a boil. Aw heck, just throw em all in the microwave for like two minutes. 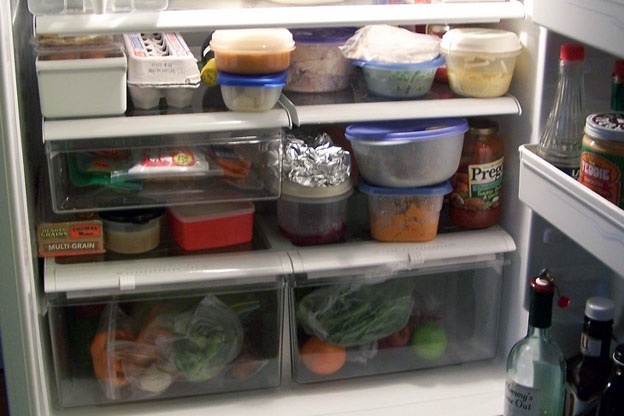 • If you decide to freeze any leftovers, try not to leave them up there for more than four months. items like casseroles, gravy, giblets, and cooked turkey are all good for three to four months. Then only item that has a short freezer life is stuffing. That stuff’s only good for about a month.